What Fore Art Thou Durometer? We’re going to explore what durometer actually is and what it means for suspension bushings. Simply put, durometer is the hardness of a material and describes how it will react to force. We will cover the shore scales and their relevance, why durometer is important and how it affects certain suspension components, the role it plays in different bushing materials and how certain things affect durometer. 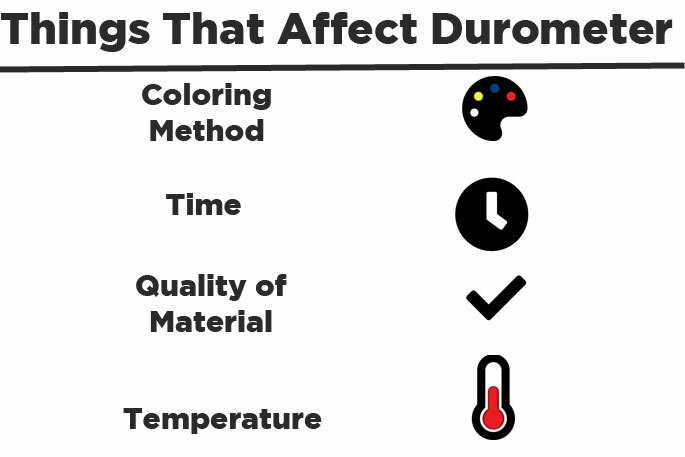 What Puts the Duro in Durometer? A Durometer is the tool that is used to measure a material’s hardness or how well it withstands indentation/changes when force is applied. Shore hardness is the actual measurement you get from a durometer, such as 65A. However the term durometer is often used for the tool and the measurement, this might sound confusing so just for clarification sake from here on out when the term durometer is used it will be talking about the actual hardness of a material. There are many different scales to measure durometer, 11 to be exact. These scales are known as shore scales and the most common ones are the OO scale which is for soft rubbers/gels, shore A is for softer more flexible materials, and shore D is for rigid materials. Here at DST, and in the suspension world, we use Shore A for all of our bushings and other materials. Now there are some differences between each of the tools used to measure these scales but two things that remain the same on all scales is the higher the number the harder the durometer and the highest number you can reach in any of these scales is 100. We will go to a higher duro when we design a component that we want to control or eliminate the range of travel ie, an anti-lift kit. With an anti-lift kit, we are suppressing the range of movement or changing the geometry of the suspension arm so we increase the duro on the bushings used to achieve the objective. Conversely, we will go down on duro on a bushing that is used in a suspension control arm where we’d like to have more compliance or allow more articulation. So durometer is the hardness of a material right, but why is this important? Well, in the case of suspension bushings different durometers can have different effects on performance and ride quality. A stiff poly bushing will keep your suspension parts where they are supposed to be and give it long-lasting, improved handling. Perfect for a track car that doubles as a daily driver. Off-road vehicles need bushings that can withstand the pressure of extreme articulation from rough trails or straight up rock crawling, something like an 80A. Bushings with too high a durometer can make your fun-filled ride on the trail rougher than it needs to be, but too soft and your suspension parts could lose their alignment. When you have a stiffer than OE poly bushing in the differential or engine mount it increases your throttle (acceleration) response since they will keep those components from moving excessively like the original rubber bushings. On the downside you sacrifice a low NVH for this increased performance. A race car needs the hardest/stiffest bushings it can get to increase take-off speeds and to withstand the abuse it takes as the car rounds the track repeatedly, something like a 94A. NVH stands for Noise, Vibration, and Harshness, so the noise is what you hear, the vibration is what you feel and the harshness is how much of an effect bumps/potholes have on you and your vehicle. NVH is affected by both durometer and by bushing design; a harder durometer will increase NVH and vice versa with a softer one. The car sitting in your garage right now has about a 60A durometer on its rubber bushings, anything any higher will add some NVH to your daily commute. A big debate in the aftermarket car parts world is which material is better, Polyurethane or Rubber. Now we aren’t really going to go into that because that’s a whole other blog post, but let’s discuss the role durometer plays in these materials. When your vehicle was brand new from the dealer, it had rubber bushings on everything, control arms, sway bar and all the works. The reason for this is because rubber has a lower NVH, however, rubber cannot withstand the tests of time. Over time, the rubber will harden and get brittle and eventually break down due to age, temperature, and exposure to the elements resulting in poor handling. Did you catch that? ‘Rubber will harden’ which means the durometer is going up, but for this material that’s not a good thing because it means the bushing is compressing and changing shape, which means less grip on whatever part it’s supposed to be holding. On the flip side there is polyurethane which is a synthetic material that it is durable, long-lasting and not affected by temperature or road grime. An old poly bushing’s durometer will flex slightly but the bushing will remain pliable and maintain its shape. 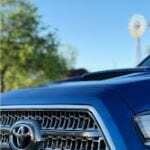 So it won’t loosen over time providing a secure grip on said suspension part. 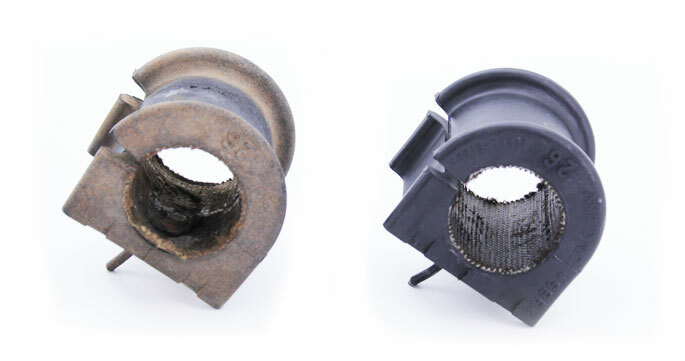 Sometimes to achieve the goal of a harder durometer with a low NVH, manufacturers will create voids or gaps in their bushings or even combined materials. SuperPro has developed a new type of material for some of their differential bushings, one with both the benefits of quiet rubber and durable polyurethane. They use polyurethane along with a unique elastomer called Polyelast to give you a stiff connection without adding excess NVH. How does this work? Well, the Polyelast is coated in-between the inside of the housing and the polyurethane bushing. The lower durometer Polyelast absorbs unwanted noise and vibration, and the higher durometer poly bushing passes energy through the differential much more efficiently than OE rubber. Well maybe Kryptonite is a bit strong, but there are certain things that could affect the durometer of your bushing, like time. The amount of time it takes to pour the poly or rubber into a mold or the time it takes for that mold to cure. Things like temperature, (whether that be of the material or the atmosphere) or even the quality of the material being poured, so if you have a low-grade rubber or poly that could affect the predicted durometer of the bushing. Let’s not forget about whether the manufacturers use liquid or powder as a coloring method for their bushings. 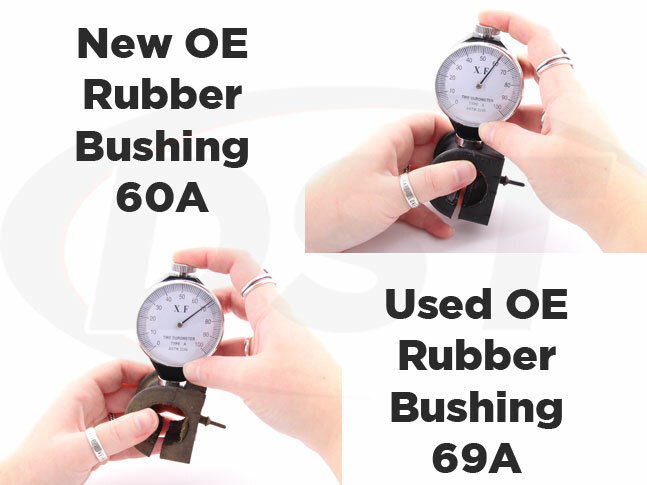 Now these things will only slightly affect the bushing’s durometer, but if you were to measure the durometer of your 60A sway bar bushing and you’re tool shows 58A you might be thinking that you’ve been duped, your high-grade bushing swapped for a lesser one. So whether you’ve been looking for new bushings for your track vehicle or you were deciding which motor mount would have the lowest NVH, the durometer should be taken into consideration. 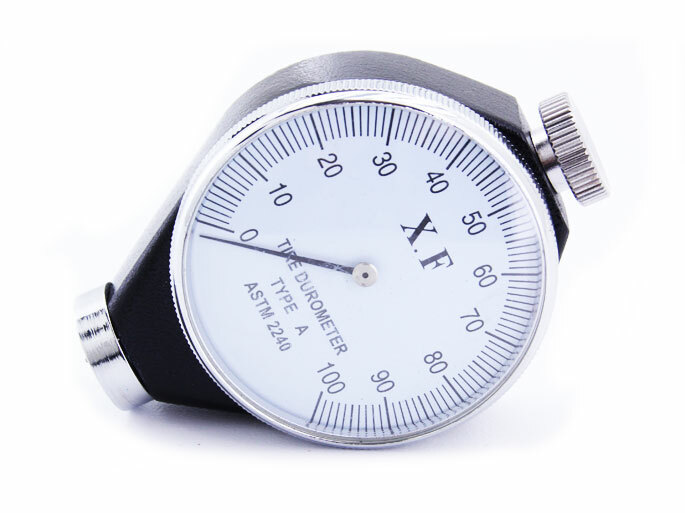 Durometer is how hard a material is, so if you want something to take a beating and need improved performance, like a race car dial up the durometer or if you’re looking for more flexibility for a comfortable ride to work then take the durometer down. Well, this is where we part ways; I hope I have answered all of your durometer related questions. If by some chance something has slipped my grasp of insight please put it in the comments section and I will answer it to the best of my abilities. 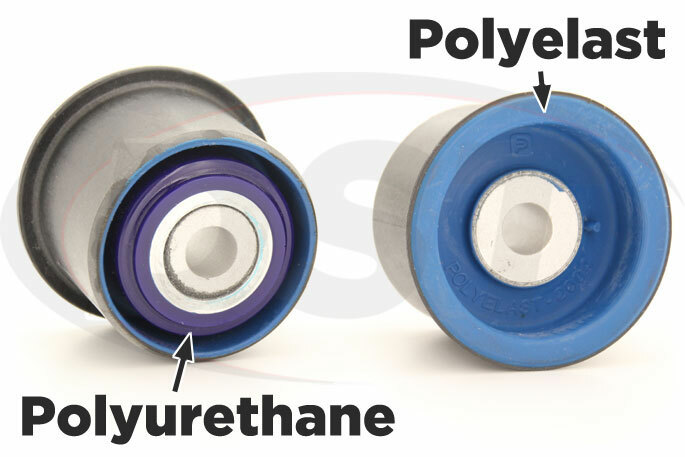 I have compared the Energy and Prothane bushings to the SuperPro bushing. The SuperPro bushing seems to be softer than the others, is that true? Also do Kevlar bushings have a different durometer than the polyurethane or rubber? As far as SuperPro having softer bushings this may be true, in certain applications. 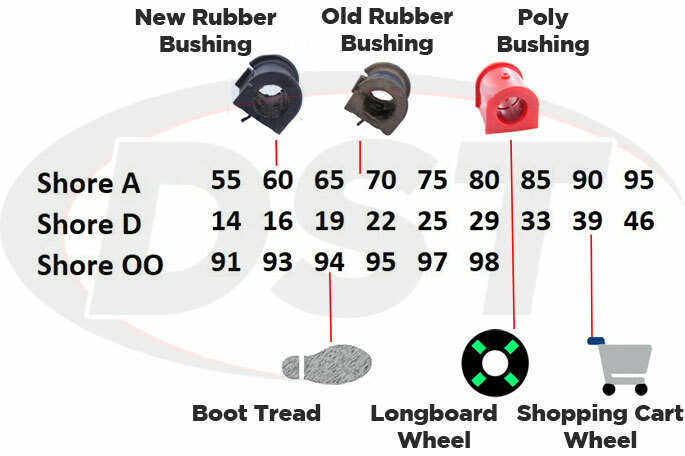 You see each company will utilize different a durometer for each of their different bushings, depending on their intended use. The same applies to Kevlar bushings; here at DST we use an 80A durometer for our universal Kevlar flange bushings. Hope this helps! Will the stiffer bushings be good to use on a daily driver. I drive in the city and sometimes the roads can be rough. Is it possible to have a too stiff of a bushing? Actually, a lower durometer is preferred for a daily driver, for a smoother quieter ride, something like a 60A. However, if you’re looking for a little more stiffness on your harsh roads but still want a quiet ride to work, you can go up to a 75A.